"Our regional favourites have moved with the times and produced some highly entertaining digital media campaigns over the last few years." Yorkshire is home to some of the longest serving and most prestigious brands in the UK. Each encapsulating what it means to be English, brands like Tetley, Yorkshire Tea and John Smith’s have made a name for themselves by staying true to their core values. However, in a modern world where digital marketing is a necessity, traditional PR campaigns can only get you so far. Fortunately, three of our regional favourites have moved with the times and produced some highly entertaining digital media campaigns over the last few years. We all know that when it comes to tea, Americans can’t quite match our tastes. Although US companies like Lipton have tried to carve out a niche for themselves by chilling a brew and adding a subtle hint of lemon to it, the fact remains that they can’t beat a proper English cuppa. 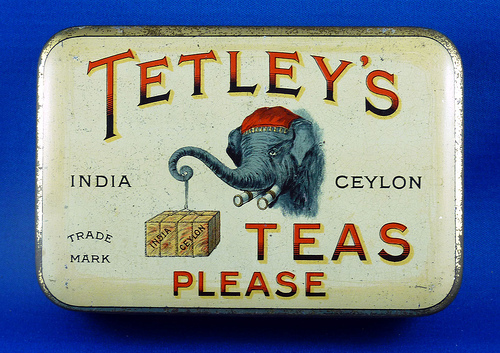 Fortunately for Yorkshire’s Tetley Tea, this lack of brewing expertise created a gap in the market which it could fill. With the help of HeadsUp, S3 Advertising and digital marketing outfit The Goodway Group, Tetley was not only able to crack America, but win an award in the process. The “Proper or Not” campaign launched in late 2015 and combined social media techniques with a simple question and answer: is it a proper cup of tea? Yes it is! Picking up on the fact that Americans might not be aware of what a real cup of tea is (in the British sense), Tetley posted a series of scenarios online and asked people if it was “proper or not”. By asking people to vote (pinkie emoji up or down) on whether something like “regifting” was ok, Tetley was able to engage users on Facebook and then hit them with a question that needs no answer: “Tetley is a proper cup of tea – no question”. In an age where online polls and surveys are all the rage, this campaign created a huge amount of online interaction while maintaining the company’s core ethos. Moreover, it also served as a lesson of sorts for those wanting to know what a real cup of tea is. Such was the power of the digital campaign that Tetley was awarded the Web Marketing Association’s Internet Advertising Competition Award for Outstanding Achievement in Internet Advertising for 2015. While Tetley might argue that its brand of tea is the best in the county, Yorkshire Tea is undoubtedly a local treasure. The Harrogate company has been brewing since 1886 and it’s still as much of a multinational player today as it ever was. In fact, Taylors of Harrogate (the company behind Yorkshire Tea) now ship their product as far afield as China and it’s all thanks to some eye-catching marketing campaigns. In previous years we’ve seen the company adopt a nostalgic vibe when it came to advertising, but in 2016 it became part of a tree-planting campaign. Using imagery from Where the Wild Things Are to enliven a promotional tea caddy, Yorkshire Tea was able to tap into the continually evolving wave of environmental awareness sweeping across the globe. However, it was when the company jumped on the #BreakfastCelebs bandwagon that it really captured our attention. With Twitter users trying to come up with their best celebrity breakfast puns (thin: eggs Benedict Cumberbatch), Yorkshire Tea brought in the big guns and merged Donald Trump with one of its crumpets. The end result was the mightily impressive: Donald Crumpet. This combination of humour, timing and relevance is something Yorkshire Tea has managed to achieve extremely well over the last few years. Indeed, whether it’s the Great British Bake Off or a viral hashtag, the company always knows how to strike the right balance between humour and advertising. When it comes to traditional ad campaigns, John Smith’s topped the pops back in 2010 when it brought back Peter Kay. Having already used the comedian in a previous run of commercials, John Smith’s tapped the funny bone of the nation once again with its “No Nonsense” vignettes. Today, with digital media an integral part of any company’s arsenal, John Smith’s is doing things a little differently, but not entirely. Deadpan humour has always been at the heart of its marketing campaigns and its 2015 adverts by adam&eveDDB were no different. Titled “Only Ordinary by Name” and first previewed on Facebook, the YouTube adverts featured ordinary folk doing seemingly extraordinary things. Top of the list was Keith Beasley. A cattle farmer by day, Beasley slowly reveals that he’s an accomplished rhythmic gymnast. However, that’s not the only twist. As we see the elegant Beasley trade his wellies for a swirling ribbon, we find that he’d perfect a routine with one of his prize cows. What does that have to do with a pint of John Smith’s? In reality, not much. However, the idea that an ordinary name can hide extraordinary qualities is something that strikes a chord. What’s more, thanks to the straight-faced delivery of the piece, the advert not only encapsulates the comedy style of Yorkshire, but it’s extremely entertaining. So what can we take from Yorkshire’s finest in terms of digital marketing inspiration? The first thing to remember is that you should always stay true to your core values. Tetley Tea and Yorkshire are unashamedly traditional, while John Smith’s is all about high-quality bitter with a slightly masculine vibe. Once you embrace your finer points, the trick is to make your brand relevant and, in the world of digital media, there are two effective ways to do that: humour and questions. Asking people to vote on something (i.e. Facebook and Twitter polls) or challenging them to make you laugh (i.e. with a funny meme like Donald Crumpet) not only gets people talking, but it makes your brand relevant. So, while a company like Yorkshire Tea might offer a “classic” brew, it can still appeal to a modern audience by making light of current events and that’s something we can all learn from. Although we might be slightly biased towards Yorkshire’s best businesses, there’s certainly a lot ofgood reasons to be high on their recent digital media campaigns.